What could be better than helping your friend find a great new job? Getting paid for it! It’s hard for employers to find good candidates, so many companies offer referral bonuses to employees who help them find qualified applicants. Last year, a tech company named ThoughtSpot offered up to $20,000 to anyone who helped it add top talent to its growing team — even people who did not work there. “Friends of the company” could take advantage of this five-figure offer by referring candidates and helping the company land a great new hire. Win-win for everyone, right? ThoughtSpot’s endeavor earned it three new employees, according to SFGate. Even outside of Silicon Valley, companies offer cash to help them land the best employees. Below is a list of companies that offer financial incentives to people who help them find new talent. And some of these programs don’t even require you to be a current employee to cash in. The cloud accounting program FreshBooks offers $3,000 to people who help it fill any one of its open roles. Currently, it’s hiring for more than a dozen positions, including an HR recruiter, senior web developer, online acquisition manager, and more. You don’t need to be an employee to take advantage of this lucrative offer. If you work for the Department of Energy, helping your agency find great employees for hard-to-fill positions can bring you a $500 bonus or 16 hours of time off. This reward program is available only to current employees and a number of different variables (and, of course, plenty of bureaucratic paperwork) go into determining the specific reward. If you know someone who would make a great colleague, it’s worth your while to refer them. Health care is a growing field and UTMB Health is looking for a few good workers. If you already work for the company, you’re eligible for up to $1,500 in bonuses for referring a qualified applicant. You’ll get your cash incrementally over a two-year period, with $250 paid at the three and six-month points, $500 after the new employee has a successful year with the company, and $500 more if they stick around for two years. 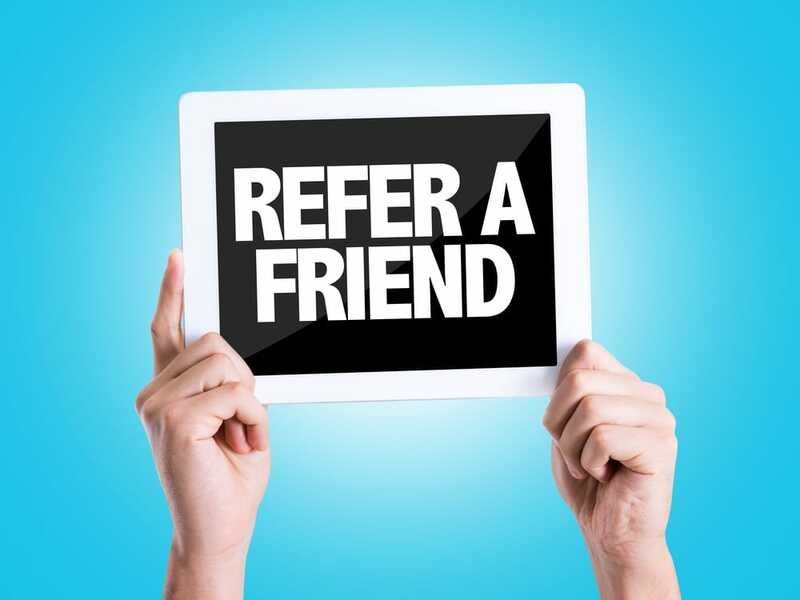 This referral program is only available for certain positions, though, so be sure to check with HR when you’re making your referral to see if you may be eligible for the bonus. Also, earlier this year UTMB offered a Nursing Referral Bonus Program with $3,000 bonuses for referring qualified nurses. Check back to see if the program has been renewed. Developers and designers are in high demand at HubSpot — so high that the company is willing to shell out $10,000 to people who help them fill spots on their growing team. Anyone is eligible for this bonus; it’s not limited to current employees. To cash in, your referral has to be hired by the company and work there successfully for 120 days. If you work at Waddell & Reed, referring a friend may earn you up to $1,000. The financial services firm offers a variety of bonuses, ranging from $250 for filling part-time roles to $1,000 incentives if you help them find someone great for a “hard-to-fill” role. Dell’s Employee Referral Bonus Policy provides cash incentives for current employees to refer friends who will be great for the company. They’ve already hired thousands of people through employee referrals, and they’re always looking for more hires. If you’re a current employee, look for details through the company’s intranet. Refer an IT professional such as a programmer, developer or system engineer to Verdus and receive $100 or more. For each permanent employee you refer, you can earn a $250 Visa gift card, and for contract employees, you’ll receive $100 for every 90 days both you and the person you referred still work with the company. To get this referral bonus, you must be a Verdus consultant. If you already work for Aramark, refer a friend and cash in. The company, which employs people everywhere from universities to hospitals to correctional facilities, will pay current employees who refer a qualified candidate to the company. Make sure you have a copy of your friend’s resume, though, because you will have to submit it to get your bonus. Atlassian is a software company that offers up to $10,000 in employee referral bonuses for new hires. The company has 1,100 employees and eight offices around the world, and their website boasts the company’s software runs on two planets. The website doesn’t share many details on how to receive an employee referral bonus, but if you know a great candidate, it’s worth an inquiry to HR. If you already drive a truck for Dart, refer a contractor to the company and earn a $2,000 bonus. To find out more or take advantage of this opportunity, call your fleet manager or recruiter to find out more about how to refer a friend and cash in. Earn $500 by referring a friend to SolarStaff. The company is looking for semiconductor professionals and, after your referral completes 90 days on the job, you could receive up to $500. If you drive a truck for ATS, cash in on your $1,000 bonus by referring other drivers. If they’re hired, you’ll get $500, and once they’ve successfully worked for the company for six months, you’ll collect another $500. Earn a $50-200 bonus by referring qualified candidates to Excel Partners, a recruiting firm in Connecticut and New York. They specialize in providing staffing in administrative support roles, accounting, finance and IT. This bonus program is open to anyone. All you have to do is refer a qualified candidate to this agriculture recruitment firm and you can earn a bonus of up to $500 if they’re successfully hired. Detroit-area accounting professionals are in such high demand, some firms, such as Plante Moran, pay up to $5,000 to people who help them find new hires, according to Crain’s. Talon needs experienced technology professionals to join their growing team. The company will even give you a $500 referral bonus for helping it find qualified candidates, and you don’t even have to be an employee to cash in. Or, you can refer a client to the staffing company and, if they choose to work with Talon, you can receive $1,000. Help this staffing agency find a good candidate for one of their many positions at law firms, and you can earn a $500 bonus. Referring a company that becomes a client can be even more lucrative, netting you $600. Yep, that’s The Penny Hoarder’s parent company. Taylor Media offers a $500 bonus to anyone who successfully refers a new employee — and you don’t have to work for the company to qualify. So if you know a great front-end web developer, advertising account manager, bookkeeper or anyone else who matches one of the company’s open positions, start referring! Your Turn: Have you ever earned an employee referral bonus? Did we miss a program our readers should know about? Share your ideas in the comments!